A ceremony to mark Hayes Engineering Works' inclusion into the Landmarks Whenua Tohunga programme was held on 04 February 2018. Guests at the ceremony included Central Otago Mayor Tim Cadogan and Pat Wilson, a great-granddaughter of Ernest and Hannah Hayes. View of Hayes Engineering Works buildings. Photo by Claudia Babirat. 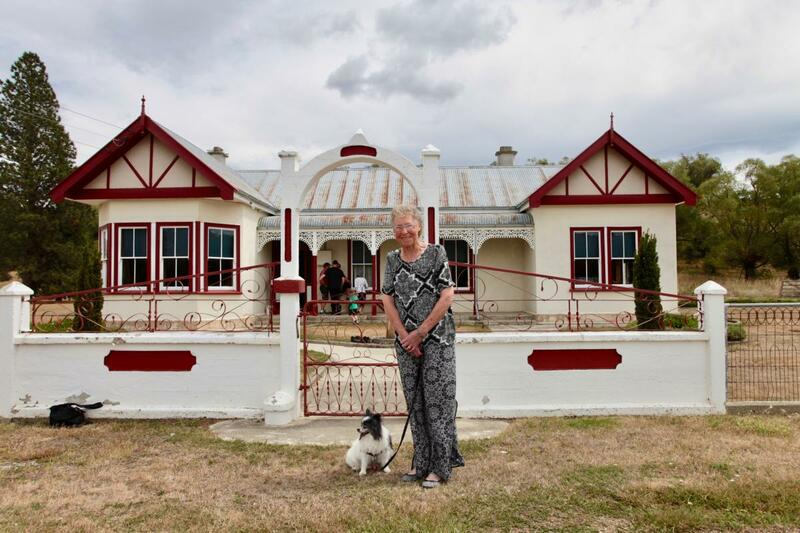 Pat Wilson, a great-granddaughter of Ernest and Hannah Hayes outside her family's homestead. Photo by Claudia Babirat. 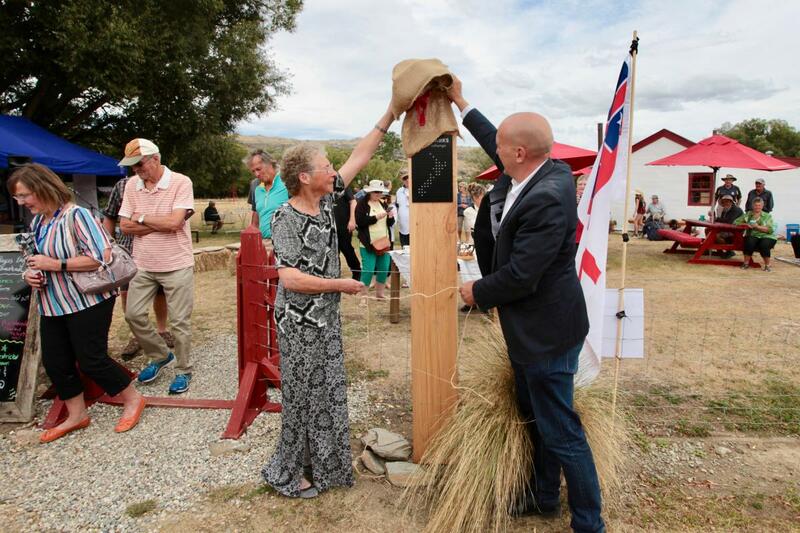 Pat Wilson and Central Otago Mayor Tim Cadogan unveiling a Landmarks Whenua Tohunga pou at the site. Photo by Claudia Babirat. 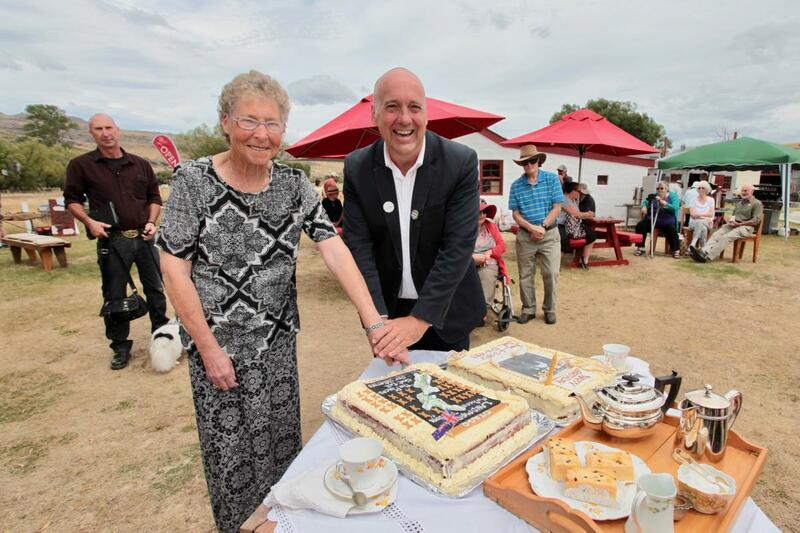 Pat Wilson and Mayor Tim Cadogan cut a cake yesterday to commemorate Hayes Engineering Works becoming a Landmarks Whenua Tohunga site. Photo by Claudia Babirat. A ceremony to welcome Hayes Engineering Works to the Landmarks Whenua Tohunga programme doubled as a small family reunion and a birthday celebration. About eight members of the extended Hayes family attended the celebration. It was also the 167th birthday of the inventor Ernest Hayes, celebrated by many of his descendants on site. Ernie's great great great grandchildren cut his cake. Local Oturehua resident Ken Gillespie is a legend. On operating days at Hayes Engineering Works, he'll make Ernie's inventions come alive for you. So if you're in Central Otago, pop in for a tour and coffee. Photo by Claudia Babirat. Viewing some of the machinery on display. Photo by Claudia Babirat. 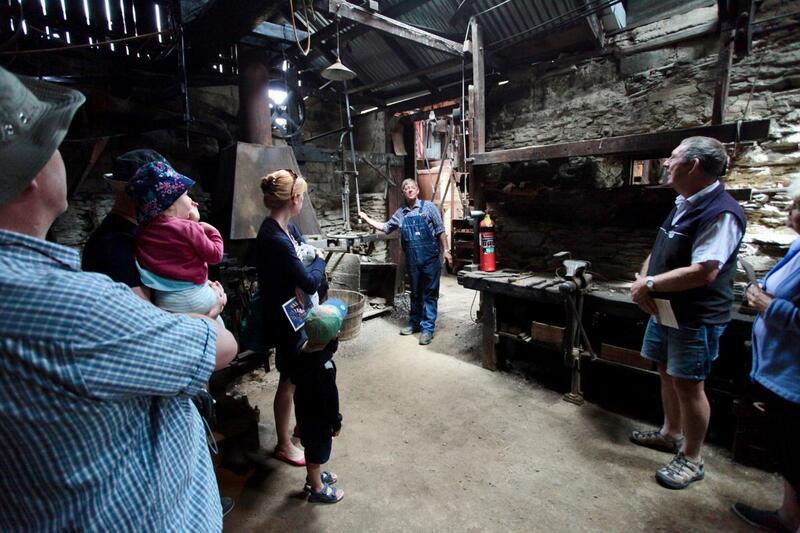 Self-guided tours allow visitors to wander through the buildings and grounds, with pre-booked guided tours available throughout the season and on Operating Days. Along with a gift store, there is a cafe offering delicious food and refreshments during the summer months (September to May). 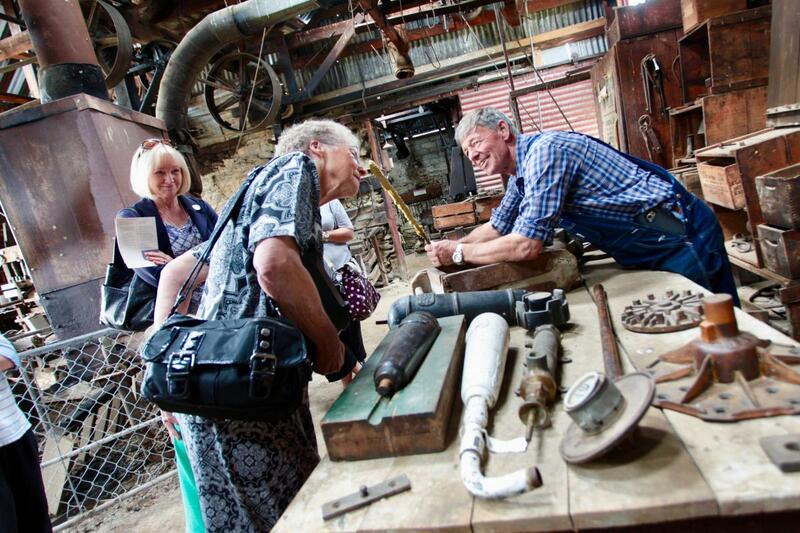 Discover more with the Landmarks Whenua Tohunga website. View more photos from the Hayes Engineering Works celebration on facebook here.